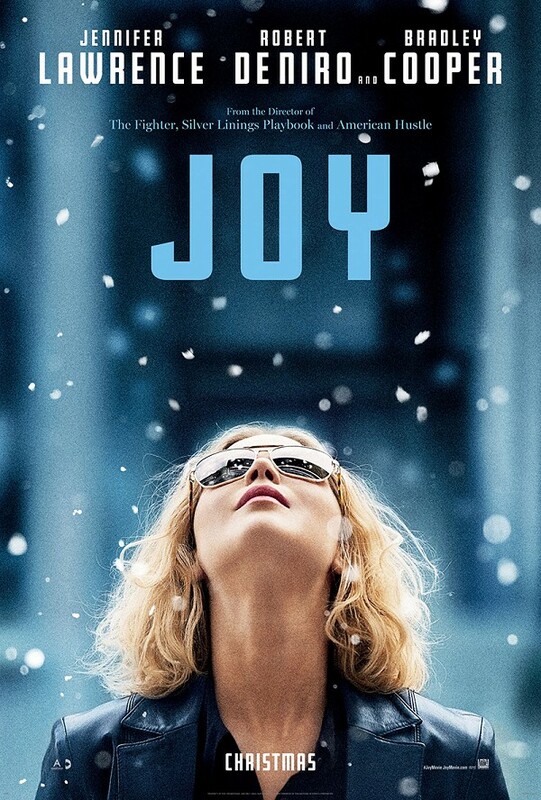 I saw "Joy" last Saturday and have been at a loss to come up with an appropriate review. The story is loosely based on the life of Joy Mangano who invented the Miracle Mop and holds at least 100 other patents. At the beginning of the movie they state that they have also incorporated some stories of other women entrepreneurs into the mix. In the movie Joy is the breadwinner, decision maker and "fixer" in an extremely dysfunctional family. The movie deals with that and with how she comes up with her idea for the mop and how to get it marketed. The acting was excellent. Jennifer Lawrence, Robert DeNiro and Bradley Cooper were fantastic. The director, was David O. Russell who also directed the three in "Silver Linings Playbook". The supporting cast were equally great. This brings me to my dilemma. Do I give it the rave reviews I desperately want to or do I back off and give it a barely passing one. I've decided I am "luke warm" with the movie. I found myself wildly anticipating it because of how much I loved the afore mentioned movie. I think I expected too much. To me it plodded along. It may have been the script or the director (not the actors) or me wanting it to have the same fire and emotions the other movie had. Whatever reason, I was disappointed. I will probably rent it when it comes out to see if a second showing clears things up for me. I won't be seeing it at the theatre a second time. However, don't let my opinion dissuade you if you want to see a well acted and "feel good ending" movie.